Red is an incredibly handsome guy. 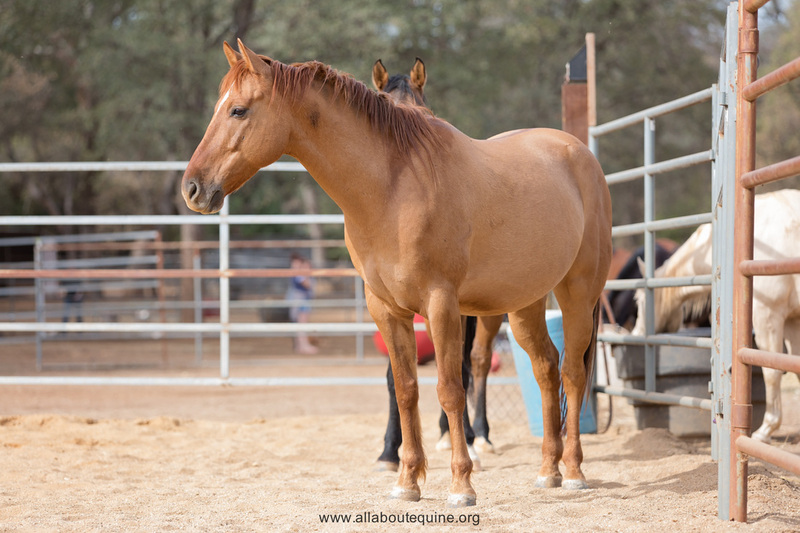 He came to AAE from another rescue after spending several months at the Monty Roberts International Learning Center (MRILC) where he participated as a project horse during MRILC courses. He was untouchable when he arrived, and took tremendous time overcoming fear and accepting humans. 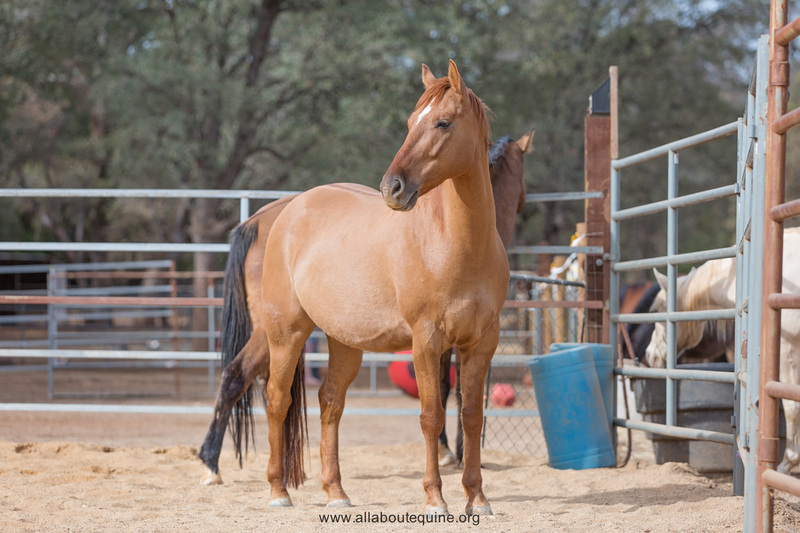 He was socialized, learned basic groundwork and long-lining, and he was introduced to a saddle (no rider). 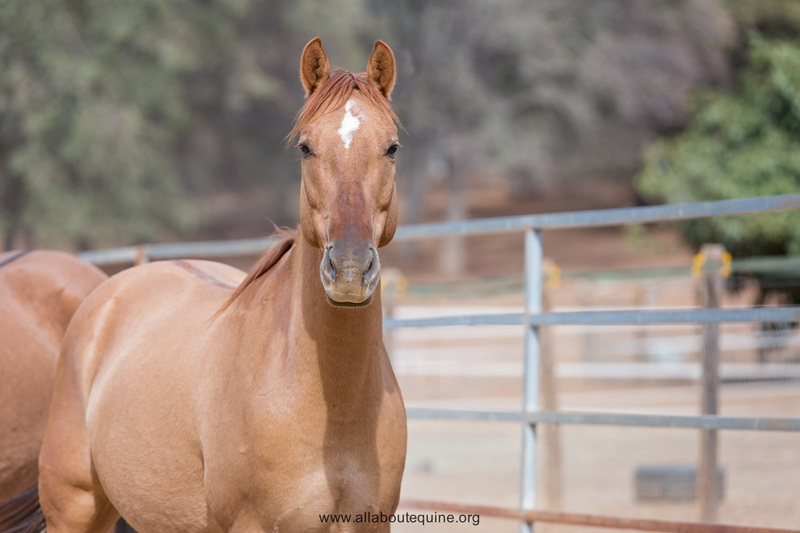 Red was adopted by a youth adopter and family in Fall of 2016, but due to the realities of work and finances that come with adulthood, his young adopter was unable to continue to meet Red's needs. Red continued building trust and learning about saddle work, even carrying a rider a few times. 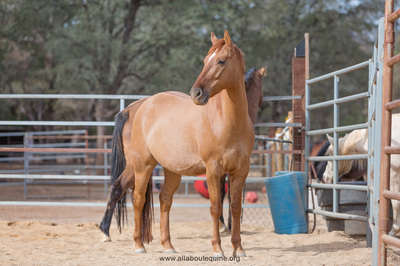 Red returned to AAE the beginning of January 2018. His vet care was updated including floating teeth, vaccines, and deworming. 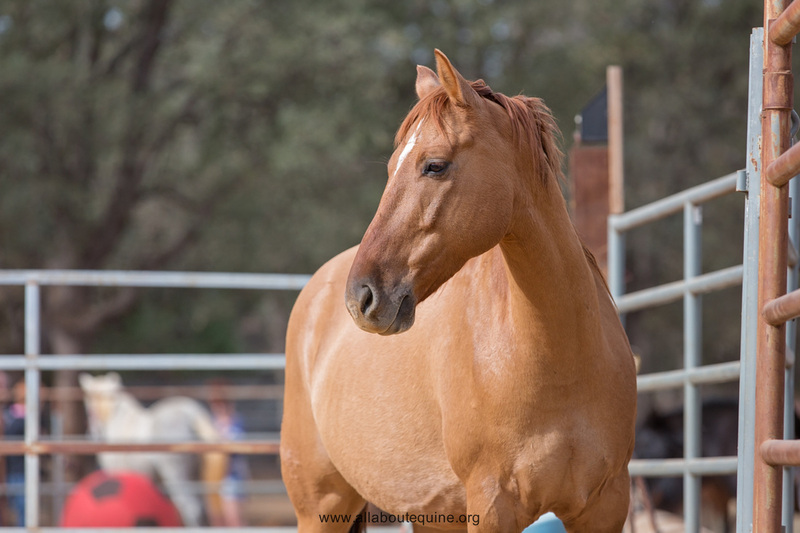 Not long after returning to AAE, Red suffered a pasture injury. Veterinary exam indicated he ruptured his peroneus tertius tendon. This usually happens when the hock is hyperextended, likely in a quick turn or change of direction. Thankfully, it was a soft tissue injury, and not the ghastly fracture it appeared to be. Red has been on stall rest the bulk of the year in hopes the tendon will heal. Studies show a good percentage of horses recover to the same level of exercise, so we're hoping for the best. So far, he is recovering nicely, but still has another month or two before re-evaluation. 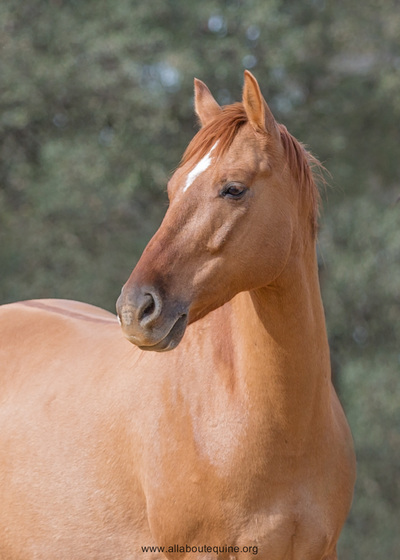 Red is a super kind and willing guy, but still has considerable difficulty accepting human interaction and trusting that no harm will come to him. First contact with him is like 50 first dates. 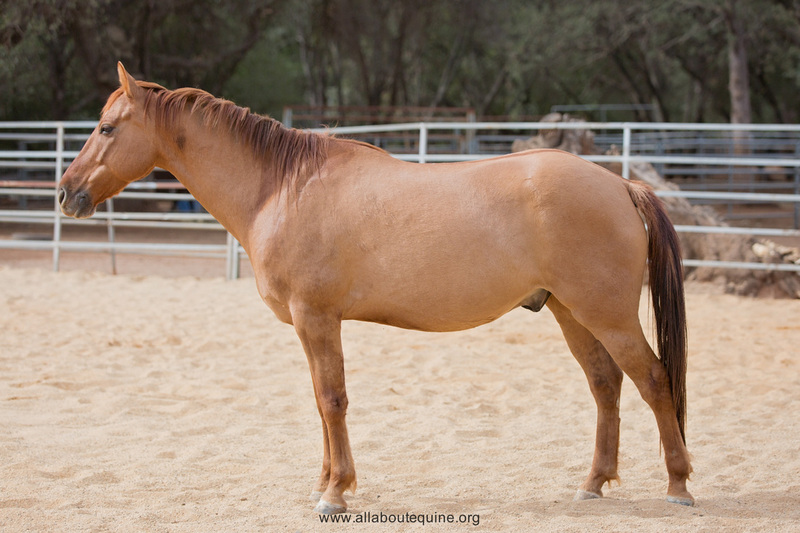 Once he's been touched, he is relatively easy to halter, and he seems to enjoy grooming. Red does best with a very calm, confident, and patient person experienced with trust-building in feral/wild horses to help him achieve his potential. For now, until he has completed stall rest, and we can resume working with him, his status will remain "In-Rehab". He'll be re-evaluated for adoption as we move forward. Red is current with vaccines, deworming, and dental care, but his hooves are still a work in progress. He has a microchip in place.